Download MLA Advisory’s January Pre-Sale Insights Report. The month of January sees a slow start to the 2019 year as projects hold for Chinese New Year and a Spring market. To-date, out of the 997 pre-sale units released in January, approximately 19 per cent have sold. 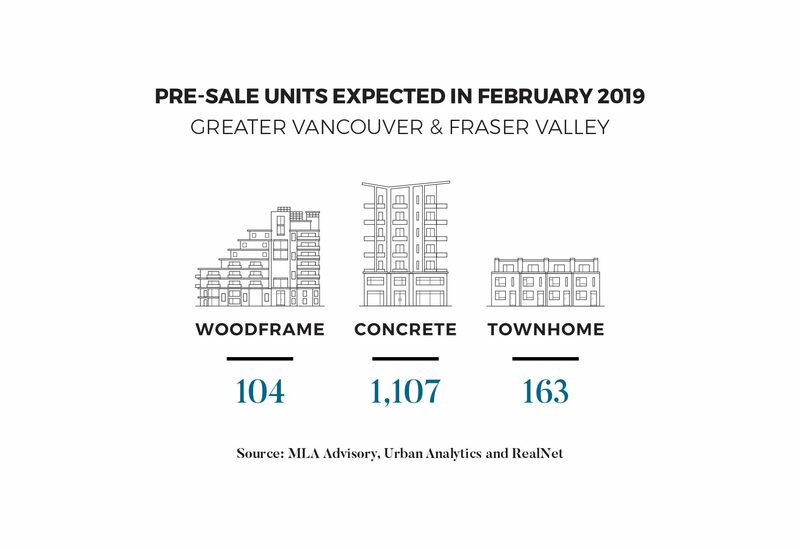 Over the course of the next month, it is anticipated there will be a total of 104 woodframe units, 1,107 concrete units, and 163 townhomes to come to market. Central Surrey is expected to be the most active market with three concrete towers to open doors for sales. Read the full January Pre-sale Insights Report.